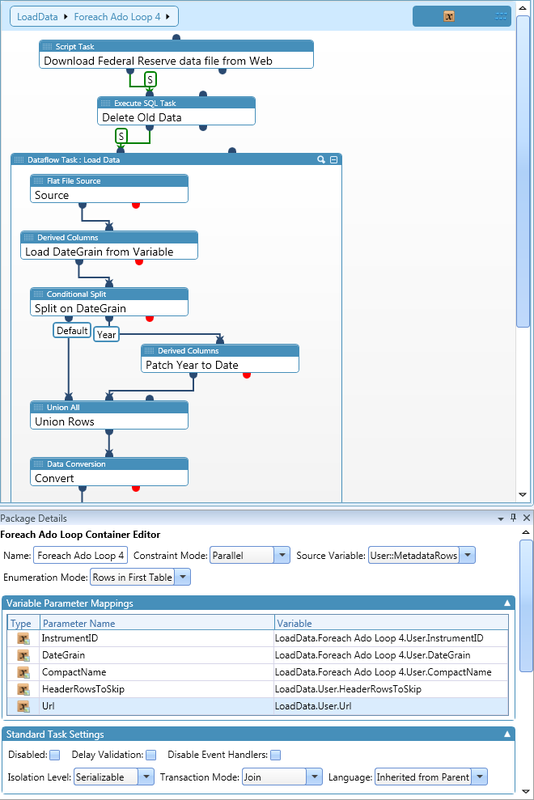 Use the package editor to construct and edit a control flow in a package. 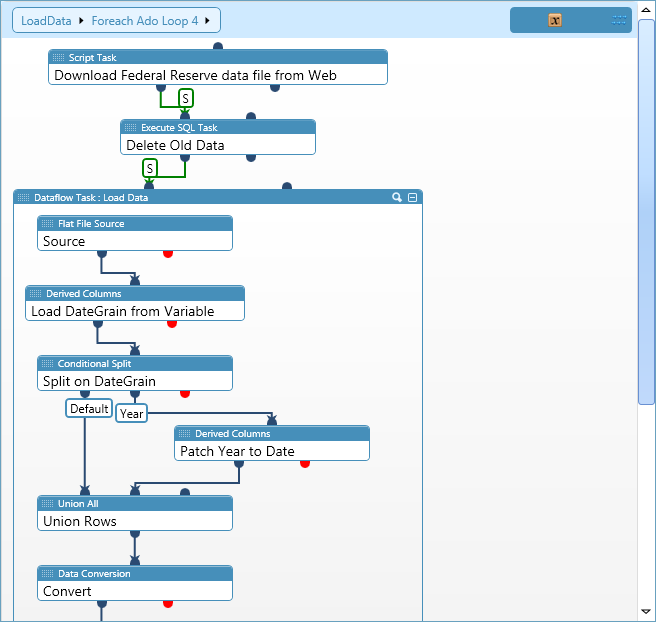 Add tasks that support data flow, data preparation, perform BI functions, and execute scripts. Add containers that can repeat workflows or divide a control flow into subsets. Connect containers and tasks into an ordered control flow using precedence constraints. Edit a task or transform in the Package Details tool window. Auto Layout Rearrange nodes and edges in the designer for better spacing and organization. Variable Add a variable to a selected task or transformation. Event Handler Choose an event handler to add to a selected task or transformation. Expression Add an expression to a selected task or transformation. Log Event Add a log event to a selected task or transformation. 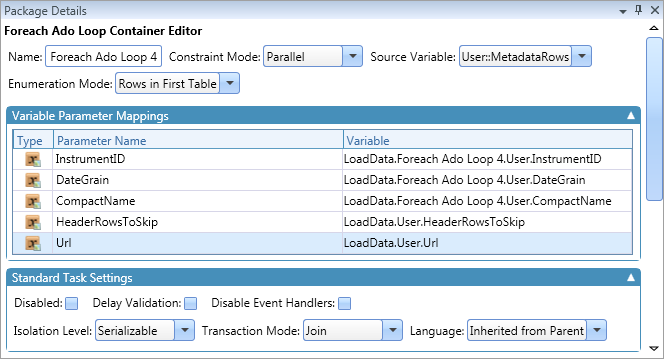 Log Provider Add a log provider to a selected task or transformation. Additionally, buttons are dynamically added for features that are task or transform specific.